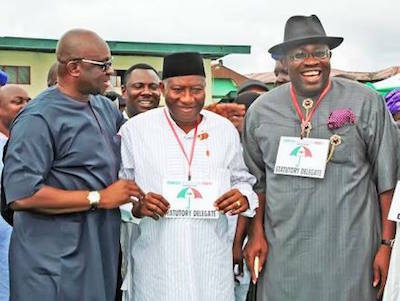 As the Supreme Court prepares to deliver judgement on the People’s Democratic Party (PDP) national leadership tussle, the Governor of Bayelsa State, Honourable Henry Seriake Dickson has strongly advised leaders and members of the PDP not to lose hope, but to remain in the party, assuring that PDP will bounce back soon. A statement signed by the Governor’s Special Adviser on Media Relations, Mr. Francis Agbo and made available to journalists in Yenagoa on Tuesday, averred that what the party needed at this juncture to play its role as a leading opposition voice was genuine reconciliation founded on compromises and forgiveness. Governor Dickson who is the Chairman of the PDP National Reconciliation Committee said he was speaking out of concern, following the decampment of PDP members to other parties as well as reports of PDP leaders floating alternative political platforms. According to the Governor, if PDP leaders had accepted the Reconciliation Template formulated by his committee, a unity national convention would have held this month to elect its national leadership, and this he believes, would have put to rest the leadership crisis rocking the party. Instead, the Governor lamented that, some party leaders opted for the court which he stressed can only adjudicate and not reconcile feuding parties. Governor Dickson said political leaders in Nigeria exert too much pressure on the judiciary by failing to do things rightly, by failing to build consensus as well as refusing to respect laid down rules of politics. He therefore, advised political leaders to stop relying on the judiciary to resolve what is essentially an internal party affair, stressing that internal disputes can best be resolved through a political solution! The Governor said the failure of the PDP leaders to unite, especially after the loss of federal power, has weakened the party across the country especially in states like Edo, Ondo, Benue, Lagos and others where governorship/local government elections had held and are about to hold. The Governor noted that his committee has not relented on reconciliation and confidence building in the party, irrespective of the lingering litigation and promised to address PDP faithful after the Supreme Court judgement!